A newly revealed Captain Marvel international trailer comes with a little bit of new footage, with an important connection to Infinity War. Marvel Studios’ latest has a lot going for it. 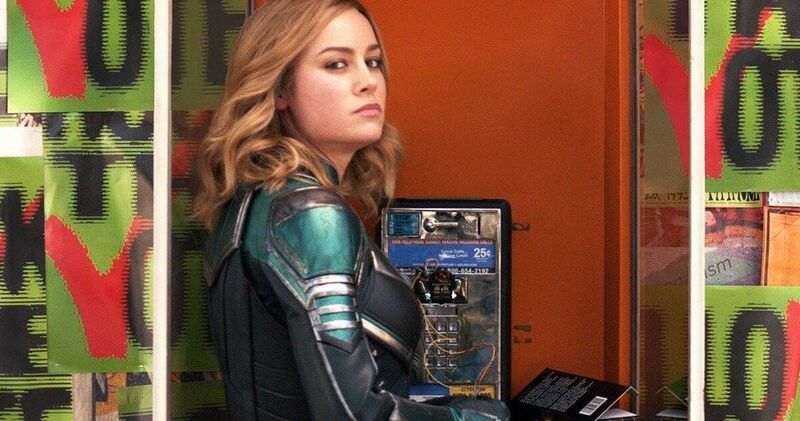 Not only are they bringing Oscar-winner Brie Larson into the fold as Carol Danvers, but it also takes place in the 90s, meaning that there should be plenty of Easter eggs that will connect to the larger Marvel Cinematic Universe. And there is one particularly major one related to Nick Fury in this new spot. The Russian Captain Marvel trailer mostly repackages footage that we’ve seen previously. However, there is a key sequence that sees Nick Fury busting out his now-infamous pager, which we first got a glimpse at in the post-credit scene from Infinity War. Prior to Fury getting dusted as a result of Thanos’ very deadly finger snap, he pulls out a pager and calls out to the cosmos for help from Carol Danvers. So, the fact that what looks to be the same pager is going to appear in this movie, years before that message was sent, is not insignificant. Beyond that, this trailer is even dubbed in Russian, so it’s tough to get much else from it. Captain Marvel is a set to be, in itself, a very significant entry in the MCU for a host of other reasons. It will be the first female-fronted solo title within in the MCU, which is something that has taken more than a decade to make happen. It’s also going to be the first to feature a female director behind the camera in Anna Boden, who co-directs with Ryan Fleck. We’re also going to be introduced to the important, shape-shifting alien race known as the Skrulls and, if that wasn’t enough, since it’s going to take place in the 90s, it means we get a de-aged Samuel L. Jackson as Nick Fury and Clark Gregg is finally coming back as Phil Coulson, also looking younger than we’re accustomed to. Important as it may be, this movie also comes with the burden of expectations. Not only because it’s the first female-fronted solo title in the MCU, but because it’s the last movie coming out before Avengers: Endgame arrives on April 26, which will see the remaining heroes getting revenge on Thanos. Carol Danvers included. The screenplay has quite a few names credited, including Meg LeFauve (Inside Out), Nicole Perlman (Guardians of the Galaxy), Geneva Robertson-Dworet (Tomb Raider), as well as Liz Flahive and Carly Mensch of Glow fame. The rest of the cast includes Ben Mendelsohn, Lashana Lynch, Gemma Chan, Algenis Perez Soto, Rune Temte, McKenna Grace, Jude Law, Djimon Hounsou and Lee Pace, who reprises his role as Ronan from Guardians of the Galaxy. Will this be the female hero the MCU has been waiting for? We’ll know soon enough as Captain Marvel is set to hit theaters on March 8. Be sure to check out Marvel’s international spot for the movie below.